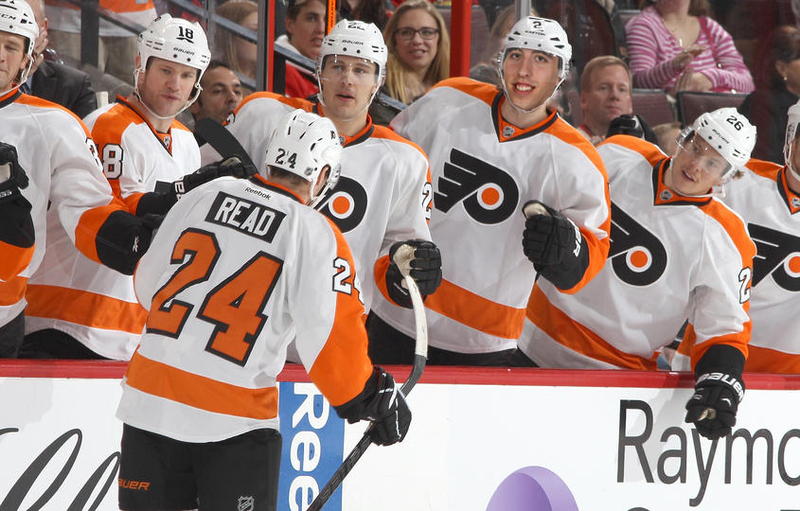 I don't know what it is about the Flyers, man. I don't know if it's their aggressive, hunting-jacket orange uniforms, their rich tradition of goonery, or their amoral, sociopathic fanbase that seems to confuse hockey with blood sacrifice, but there's something about playing the Flyers that just seems to get the Ottawa Senators all riled up. Harry Zolniercyk concusses Mike Lundin. Peter Regin was uninjured on the play. "Oh Andy, you came and you stopped them from scoring, and this doesn't quite rhyme, I'm sorry." Look, I love Robin Lehner. I'm Member #1 of the unofficial Robin Lehner fan club I started (cards should be back from the printer any day now). He's not the most experienced goalie on the team, but he's probably the most skilled. But you know who should be fired up by that? Craig F. Anderson, that's who. There's nothing like a little competition to drive both to dizzying new heights of excellence. So after a week of all this Lehner talk, is Andy ready to come out and have the game of his life? And how many fights will there be tonight? Let's find out! 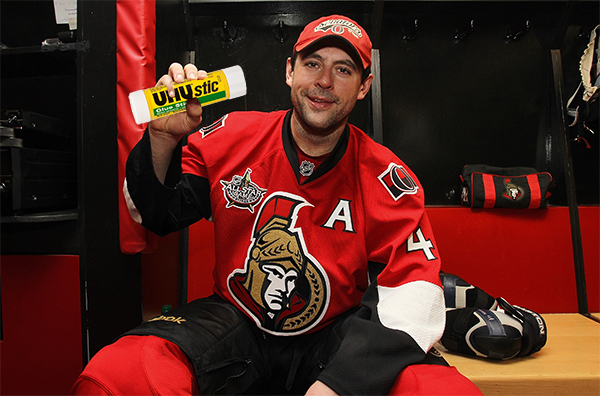 Is Chris Phillips the glue that holds the Senators D together? Let's find out! A quick assistant captain update before puck drop - Chris Phillips is out tonight. Fellow assistant captain Chris Neil is wearing a visor. There's a non-zero chance that fill-in assistant captain Marc Methot will be crushed by an anvil at some point during tonight's game. The Flyers spend most of the first five minutes in the Senators' zone, but none of their early shot attempts test Anderson seriously. Eventually the Senators are able to develop some offensive pressure and start to look like the better team, but aggressive Flyers checking makes it hard for the Senators to take their time with the puck and set up plays. This ends the serious analysis portion of the recap. We may be scoreless after ten minutes, but here we go - we've got our first shove after the whistle! It's Luke Schenn on Zack Smith during a Senators power play that doesn't go anywhere. "Remember Toronto?" says Schenn. "It used to be like this, always." "I'm just not good at the distance thing," responds Smith, begging off a fight. But five minutes later, Braydon Coburn drops Erik Karlsson in front of the net! Things are getting physical! No they're not. Matt Read scores off a wraparound with three to go, and all of a sudden the Senators are down 1-0. Worse still, the goal seems to give the Flyers momentum and they spend the rest of the first period putting quality shots on Anderson, who makes a series of increasingly-athletic saves to keep the Senators in the game. Surely the Senators are going to regroup during the intermission, make some adjustments, and come out fighting to prevent this from happening again, right? Even a wraparound isn't an individual accomplishment. It's a team effort. In the first minute of the second period, the Senators gives up another wraparound, this time to Jakub Voracek. So it's that kind of game. Looks like we're gonna need a fight to turn this one around . . . right? The Senators come rushing back after the goal, but Colin Greening misses a chance to bury an easy open-netter. In the press box, Erik Condra sheds a single tear, shouting, "You're my boy, Green!" as he misses his wide-open mouth with a nacho. Ten minutes in, Mark Borowiecki draws an interference penalty and Voracek makes it 3-0 Flyers on the first non-wraparound goal of the night, in this case a top-shelf wrister from a beautiful Wayne Simmonds centering pass. 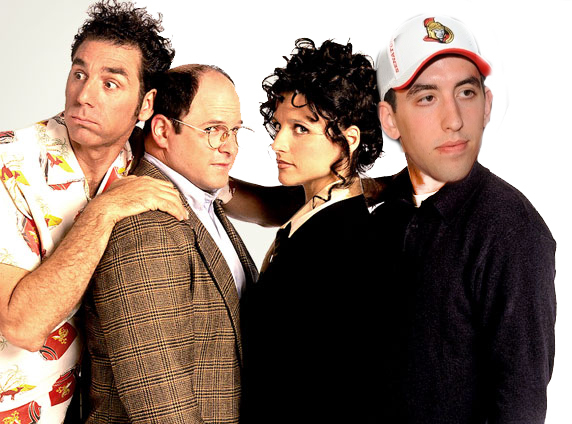 The Senators respond by playing with less energy, and amazingly, Craig Anderson keeps them in the game to end the second. Anderson is probably the better goalie through two, even though he's given up three goals on 20 shots to Steve Mason's shutout on 18. This is all part of Philadelphia's plan to sucker the Senators into a line brawl, right? Hockey is played and eight minutes in a Marc Methot centering pass goes right to Vincent Lecavalier, who puts it five-hole on Anderson to make it 4-0 Flyers, and it's all over but the crying. Folks, we're just going to spend the rest of this recap exploring the space a little bit. Where do the Flyers rank on the Senators' all-time rivals list, anyway? Despite the history of violence, I don't think they're top five - I've got the Leafs, Habs, Sabres, Bruins, and Penguins ahead of them. What's with the orange, anyway? They look like a bunch of goony Dutch speed skaters. Hey, why do they call them Flyers, anyway? They're just skating! Am I right, folks? At some point a Brayden Schenn power play goal makes it 5-0, and Paul Maclean loses his glasses. FIGHT FIGHT FIGHT! Wait, the game is over. Huh. The Senators played a lousy, low-energy game, and tonight they weren't bailed out by their goaltending. That`s not to say it's Anderson's fault - it probably would have been 10-0 without some solid saves on his part - but he didn't play well enough to quiet the Robin Lehner crowd, or people who don't really care if the Senators have a second valuable goaltender that can later be exchanged for goods and services. You know what? 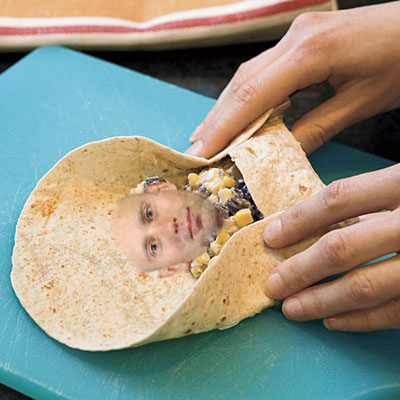 Craig Anderson is still my Senators star of the game, even if he's going to go to bed tonight haunted by those wraparounds . . .
"Oh God, it's closing in on me! NOOOOOOO . . . mmm, queso."